The Church of Christ develops the affirmation that Christ is not complete without his people. It grounds ecclesiology in Christology and soteriology. Beginning with the Old Testament basis of the New Testament teaching about the church, the book gives a consistent correlation of Christ with the church's nature, membership, assemblies, ministry, and life. This is not a historical study but a doctrinal study. The aim is to present a biblical theology of the church. A doctrinal approach, however, does not mean a doctrinal scheme is imposed on the text; rather, the effort is to let the doctrinal teaching arise out of the text itself. 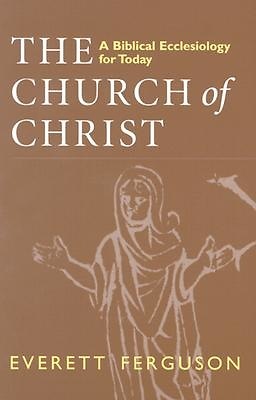 The systematic treatment of the topics traditionally covered in studies of the doctrine of the church are here brought together in relationship to Christ, who is seen as providing the nature of the church and of its membership and as providing not only the example for the church but also a living continuation of himself in its worship, polity, and ethics. The -Today- in the subtitle does not imply a tailoring of biblical ecclesiology to the interests of the present, but is meant to emphasize that biblical ecclesiology is viable today; it is also an acknowledgment that the questions addressed are in part shaped by contemporary as well as historical issues in ecclesiology. In light of these considerations, Ferguson unveils a comprehensive model of the church that is both biblically centered and relevant to today's world.